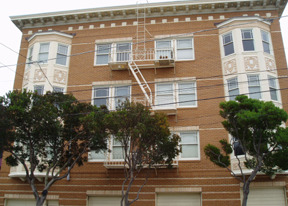 Apartment buildings in this area are located near vibrant shops, restaurants, outdoor activities, hospitals and have easy access to Highway 101 to the Golden Gate Bridge for weekend get-aways to wine country. Celebrating over 30 years of superior management and investment strategies, Lightner Property Group is a real estate property management company focused on rental and for-sale housing investment opportunities, in the San Francisco, Bay Area and California markets. The content of the site is protected under United States copyright law and may not be used without the express written permission of Lightner Property Group. Please visit Site Policies for specific details and information regarding collection protocols and the use of data obtained from the web site. The information contained on the Lightner Property Group site is general in nature. It is not intended to constitute professional advice. Visitors are reminded to seek professional counsel before taking any action on a real estate or property management issue. Use of the site does not create a professional relationship with Lightner Property Group or any staff member. Lightner Property Group, its clients and affiliates are proud to adhere to the letter and spirit of the federal, state and local Fair Housing and Equal Opportunity Employment laws. Please visit our Site Policies section for specifics. Copyright circa 1996-2017 - All Rights Reserved - Lightner Property Group, Inc.